With hard drive, micro, amplifier. This system is based on feedback as a generating principle. A microphone records the sounds emitted during the recording of data on the hard disk. The recording of the microphone is directly recorded on the hard disk. The sound recording itself becomes the source of its recording – a dialogue between the medium and the nature of the information it generates. 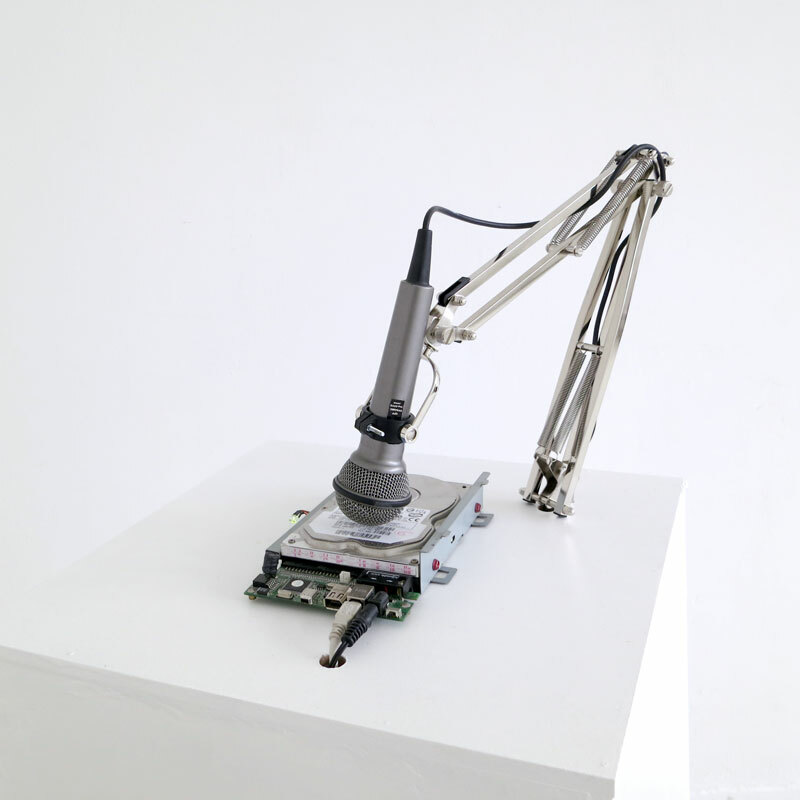 The device questions the constant transition of information from analogue to digital information, the fragility of the media in terms of intensity and the persistence of the information that passes through it.